I would enjoy the chance to see options for different seasons in Farming Simulator 2019. It would be great, if we have a chance to experience different seasonality and how it affects our crops. An awesome idea too would be to see how equipment reacts to weather changes and that it becomes rusty after staying outside for a while. 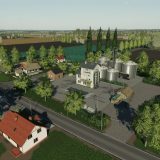 I really wish to find wider diversity of maps available in FS 19. It would be so cool to have USA, Russian, German or even UK maps! Another suggestion for FS 2019 would be to have second-hand equipment section, where players could buy used machinery which is still working but has some issues. I would enjoy having a decent technical service or a chance to fix a vehicle individually as well as a requirement for constant check-ups. It would be amazing to implement some animations of farmer fixing a vehicle. A more realistic ground responsiveness is definitely one of my priorities for LS 19. Talking about tires, I hope there will be a functionality to wear them off and change with the new ones. I am waiting to see more types of crops in LS 2019, some suggestions would include beans, peas, carrots and others. Another thing to be mentioned is a feature of animals getting fatter as well as particular type of cows for beef. I assume we will see even more developed graphics because it’s definitely a priority for Giants. 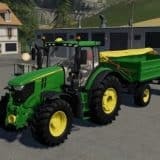 I hope there won’t be any Farming Simulator 19 mods for consoles. It would be good idea to implement more vehicles and equipment types. If they add interactive control to the game, it would be simply the best thing ever. I would really enjoy having a chance to follow daily human life, such as dining, drinking, etc., and even trying to keep fit, such as gaining and losing weight. I wish to see that rain won’t go through sheds, which means developing some basic weather physics. However, it is a part of seasonality feature. I hope that 4K texture BS will finally be replaced by proper 3D textures. Of course, Farming Simulator 2019 mods will offer new solutions for textures. Winter seasonality function, when cows can stay inside the shed. Special food for cows instead of Power Food. I would like to see beef cattle gaining some weight in Farming Simulator 2019. It would be great to have an option to take thin into account when bringing them to Livestock Market. Having slurry slats with option to lift them and take the slurry to the slurry tanker. An option to move cows between fields. Each field needs to have water reservoirs, which you can fill before cows are transported. FS 19 should include a feature of unloading bags from Fertilizer and bring them straight to Spreader. In case a player doesn’t want to do that, the full fertilizer points stay. I would like to see an option of cleaning animals and being able to move the slurry into a manure pit. FS 2019 should definitely introduce a wider variety of animals. 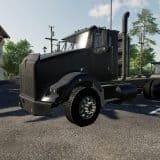 There are some new types in fs17 but different prices are missing. Maybe FS 19 mods would introduce some solutions of breeds variety too. I am hoping to see a functionality of cows having calves when they are reproducing. An additional option for fertilizing process would be to lift the grass with particular mower or topper to improve grass yield. I wish my suggestions will provide you with some good ideas about the development of LS 19. I believe that some of my mentioned improvements can’t be achieved easily but I hope to provide you with some significant inputs – I am sure that this would add much value for the game.